Who says that the romance is dead? 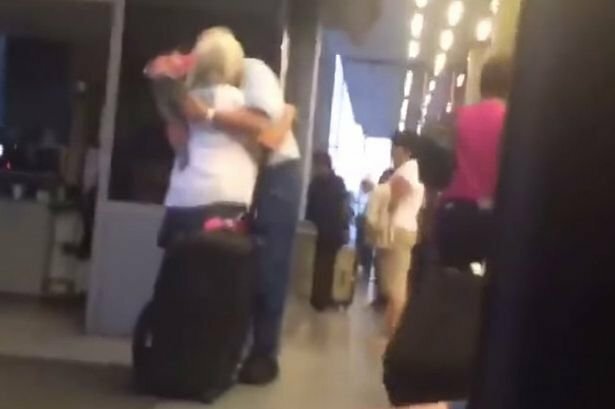 This adorable old couple show they are in love at the airport. This man proves romance still exists in old age. Facebook user Chris Perry posted a short video of an elderly man waiting at the airport for his wife, and the heartwarming clip has been watched by millions. In the video the man is seen waiting patiently at the airport with flowers. He is overjoyed when an elderly woman meets him at the arrivals gate. The two hug and kiss before he hands over the flowers.